At Basler Family Chiropractic we utilize the latest in chiropractic technology to access you nerve system. The Space Foundation certified Insight Millennium Technology establishes a reliable, scientifically valid, quantitative, multidimensional, representation of the person’s condition – something never before possible! We are able to pinpoint the cause of your health condition and utilize the technology as a measuring tool that will further guide your progess. The Insight™ technology used by the doctors has received the highly regarded, exclusive recognition of a Certified Space Technology™ from The Space Foundation, in cooperation with NASA. 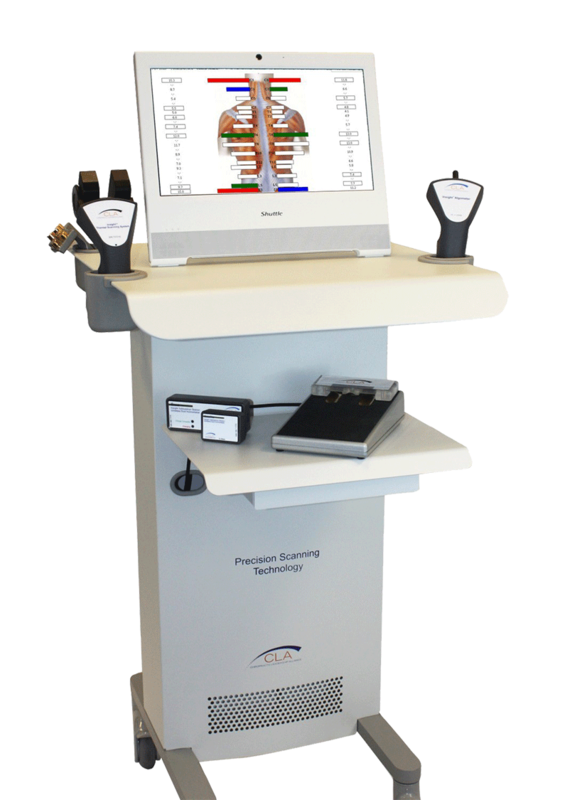 The Insight sEMG chiropractic technology is similar to the technology used in EKG/heart rate measurement machines. One primary difference is that the sensors are 1,000 times more sensitive, since the paraspinal muscles generate less action potential (electrical activity) than the heart muscle. One of the most exciting technologies in contemporary chiropractic practice, sEMG measures baseline status and changes in the electrical activity of paraspinal muscles in order to quantify the muscular changes associated with vertebral subluxations. This makes it a powerful tool for tracking outcome assessment results from chiropractic care.